The CoffeeShop Blog: CoffeeShop Web Frame It PS/PSE Action! CoffeeShop Web Frame It PS/PSE Action! If you loved the CoffeeShop Color Block It, Web Rounded Corners and Web Drop-Shadow actions, then you will love CoffeeShop Web Frame It! Just like my other web actions, Web Frame-it crops and sharpens your images for the web. But it also adds a custom colored border and frame around the image. This action works in Photoshop and Photoshop Elements. The second prompt frames your image. It is preset to 30px, but again you can adjust the size and color to taste. Your image is now flattened, cropped, sharpened, and has a border and frame. Now go post your web-ready image on your blog! I used the CoffeeShop Vintage Blush action on this image in Photoshop Elements. 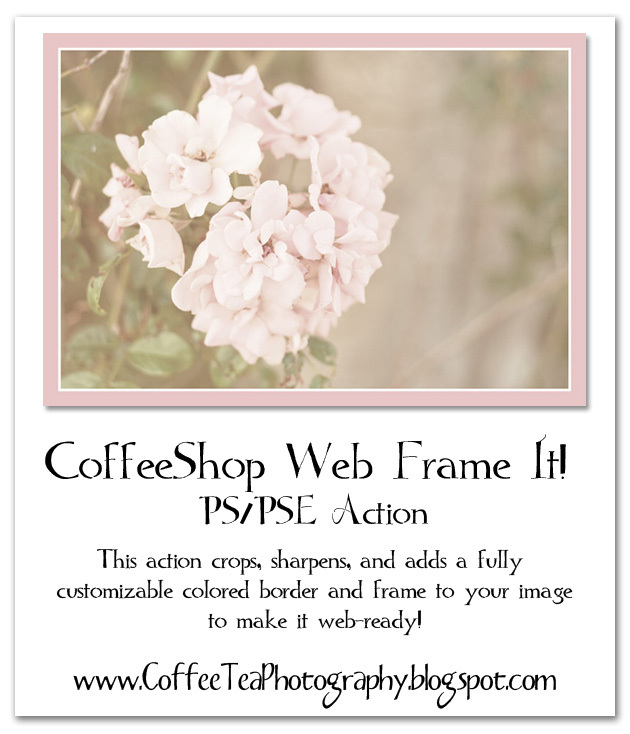 Download the free CoffeeShop Web Frame-It PS/PSE action HERE! Has anyone told you how fantastically awesome you are today? Thank you so much for this post. I want to let you know that I posted a link to your blog in CBH Digital Scrapbooking Freebies, under the Page 8 post on May. 16, 2010. Thanks again. Thank you so much! I've been using your Web Color Block It to get the frame around my photos and make them web-ready...so this is really EXACTLY what I need! 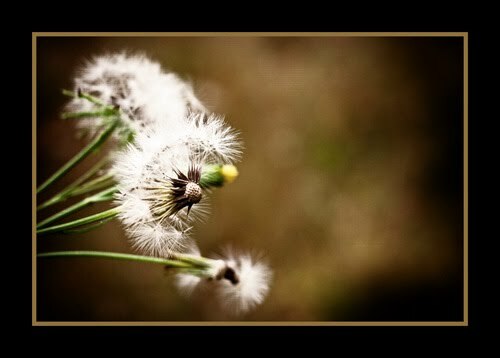 I'm totally psyched for that vintage b&w action....that dandelion photo is INCREDIBLE!!! You really couldn't be any more amazing!! THANKS for this great new action. Can't wait to try it out on my photoblog :) Thanks, Rita! Next time will play around with the widths and colors :) Can't wait! Thanks again! can't wait to spend some time looking around. thanks for all the free goodies you offer. I love this new action! And that dandelion pic/frame is so stunning! thank you for sharing.... you are awesome! I've tried to create a command for this in my Fireworks program. (most of the time I can read a photoshop tutorial and figure out how to do it in Fireworks.) However, I just was not able to get the command/action to work! I would LOVE it if you did this action unwrapped!!! I love all your action and use them every chance I get. Here is a photo I used 3 of your actions. Just used the action last night, LOVE IT!!! It makes frames so much easier. Thank you so much!